Let’s talk about dates, the sort that has nothing to do with meeting your soulmate online. More to the point, let’s talk about Medjool dates because unless you’ve had the good fortune to sample these plump, soft, and exquisitely sweet “king of dates”, well, you just haven’t lived. 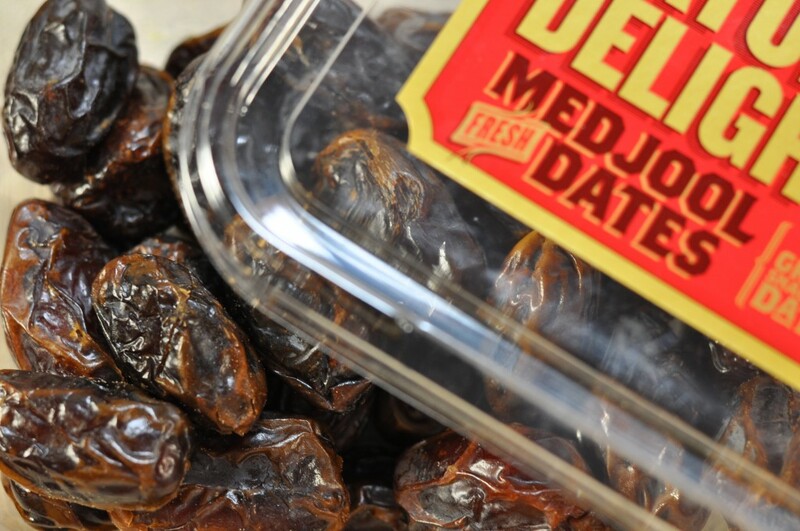 According to an article on NPR’s website, Medjool dates first arrived in the United States in 1927. 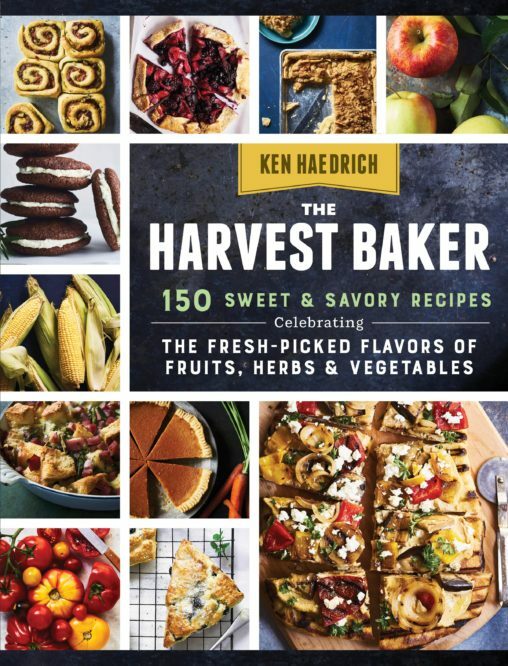 Contrary to the belief wagered by an occasional younger reader, that was not the year my first cookbook was released. It was, however, the year a fellow named Walter Swingle, an American horticulturalist, brought a handful of Medjool offshoots back from Morocco, where disease was destroying the crop. Once here, the dates flourished. I say a little prayer of thanks to Mr. Swingle whenever I slather peanut butter on my dates for breakfast, help myself to another almond paste-stuffed Medjool at the holidays, or – as you will. 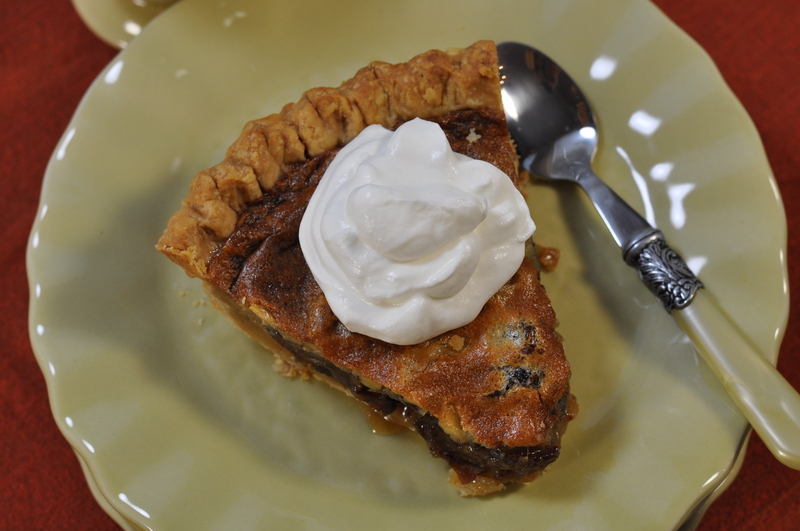 too – when I eat a slice of this chewy Medjool date pie. 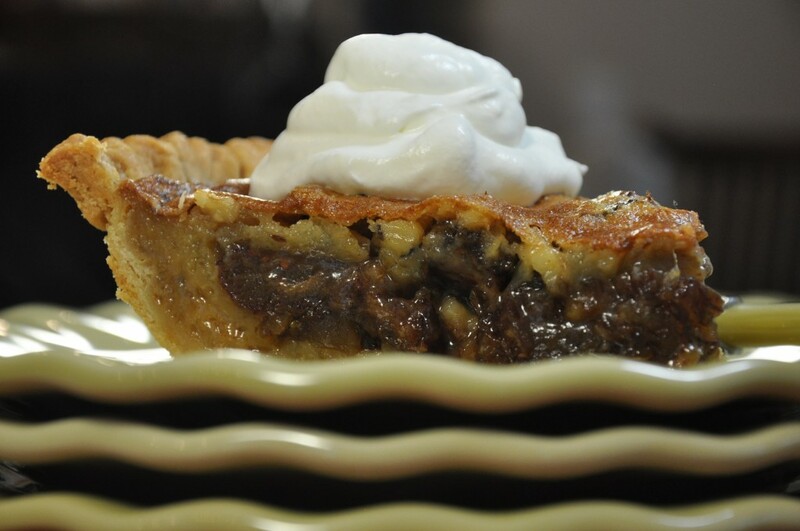 This date pie is modeled after one I found years ago in Maida Heatter’s Book of Great American Desserts (Knopf, 1985.) She uses the words gooey, chewy and yummy to describe hers and they apply equally well right here. She also says you have to start with the softest dates you can find – not the hard, diced up ones that come in a box – and you won’t find any softer than Medjool. I’ve made no secret of the fact that I love shopping for baking supplies at Sam’s Club and they are, in fact, my source for top quality Medjool dates. I can pick up a hefty 2 pound box of them for under eight bucks. The key is to make sure they’re Medjools. There are about a dozen commonly found dates in the United States but not all of them – like Medjools – are categorized as “soft.” There are “semidry” and “dry” dates also, but none that I’m aware of that can match the Medjool for flavor and texture. 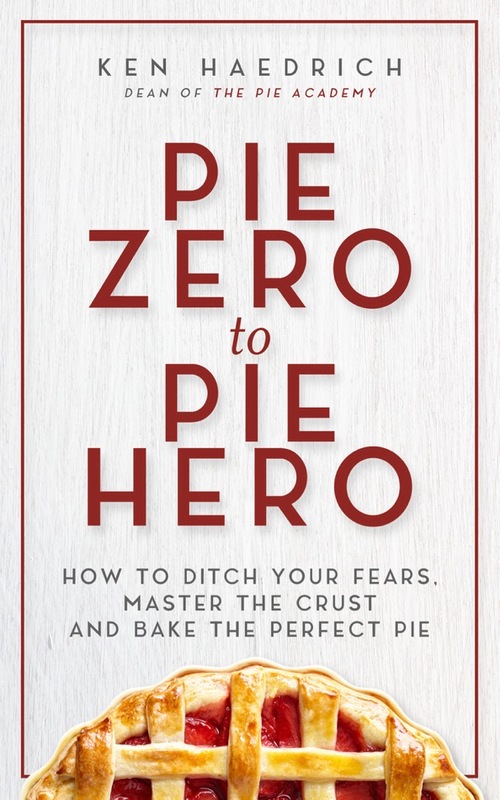 So if you’re in the mood for something a little different, I hope you’ll try this pie. 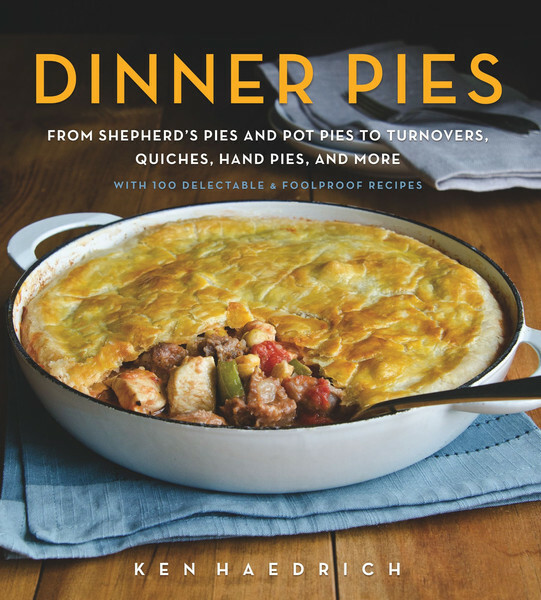 It’s one of those good, hold-you-over-till-summer-pies we all need in our repertoire. And don’t worry if you have leftovers: like many pies, it freezes well. Ice cream or whipped cream, it’s your choice. Enjoy. PASTRY NOTE: You can use any favorite pie pastry to make the pie shell here, but I like my good old reliable GOOD BASIC PIE DOUGH. Combine the eggs and brown sugar in a large bowl. Using an electric mixer, beat on medium-high speed for 2 minutes. Add the butter and beat again briefly. Add the corn syrup, vanilla, and salt and beat for 30 seconds. Scatter the dates and nuts evenly in the cooled pie shell. Slowly pour the filling over them. 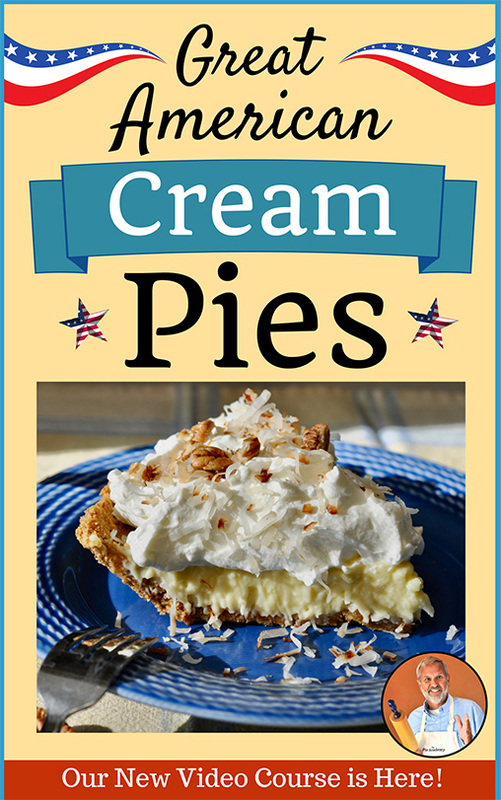 Place the pie on the center oven rack and bake for 15 minutes. Reduce the heat to 325° and bake another 30 to 35 minutes - turning the pie 180° about halfway through - until the top has puffed up and browned nicely. 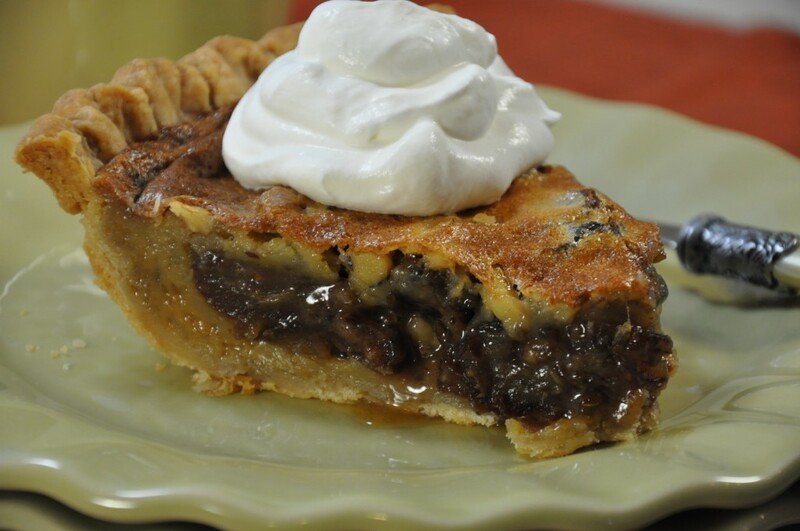 When done, the very center of the pie may still seem a little jiggly but the filling should not move in waves. Don't overbake. Transfer the pie to a cooling rack and cool thoroughly. Cover with tented foil - the top of the pie forms a skin and you don't want to disturb it and pull it off - and refrigerate until serving. However, let the pie sit at room temperature for 20 to 30 minutes before serving. Makes 8 to 10 servings.